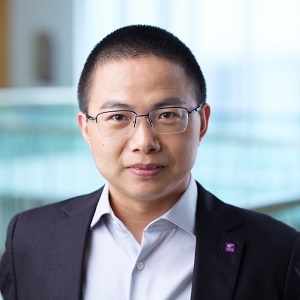 Prof. Junfei Huang joined the Department of Decision Sciences and Managerial Economics at The Chinese University of Hong Kong in 2013. His research interests are in asymptotic analysis and optimal control of queuing systems and their applications in services such as healthcare systems (e.g. emergency departments) and tele-services (e.g. telephone call centres). His work has been published in journals such as Operations Research and Mathematics of Operations Research. His research awards include the Uriel G. Rothblum Prize for Excellent Work in Operations Research by the Operations Research Society of Israel and the MSOM Service Management SIG Best Paper Award. J. Huang and I. Gurvich (2018), “Beyond Heavy-Traffic Regimes: Universal Bounds and Controls for the Single-Server Queue,” Operations Research, 66(4), 1168-1188. J. Huang, A. Mandelbaum, H. Zhang, and J. Zhang (2017), “Refined Models for Efficiency-Driven Queues with Applications to Delay Announcements and Staffing,” Operations Research, 65(5), 1380-1397. J. Huang, H. Zhang, and J. Zhang (2016), “A Unified Approach to Diffusion Analysis of Queues with General Patience-Time Distributions,” Mathematics of Operations Research, 41(3), 1135-1160. J. Huang, B. Carmeli, and A. Mandelbaum (2015), “Control of Patient Flow in Emergency Departments, or Multiclass Queues with Deadlines and Feedback,” Operations Research, 63(4), 892-908. I. Gurvich, J. Huang, and A. Mandelbaum (2014), “Excursion-Based Universal Approximations for the Erlang-A Queue in Steady-State,” Mathematics of Operations Research, 39(2), 325-373. J. Huang and H. Zhang (2013), “Diffusion Approximation for Open Jackson Network with Reneging,” Queueing Systems, 74(4), 445-476.